Sports Mole looks at how Liverpool could line up for Wednesday's trip to Porto in the Champions League. Sports Mole provides team news, predicted lineups and a full preview of the Champions League quarter-final second leg between Porto and Liverpool. Liverpool return to the top of the Premier League table courtesy of a 2-0 win over Chelsea at Anfield. Sports Mole looks at how Liverpool could line up for Sunday's huge Premier League clash with Chelsea at Anfield. Sports Mole provides team news, predicted lineups and a full preview of Sunday's Premier League clash between Liverpool and Chelsea at Anfield. 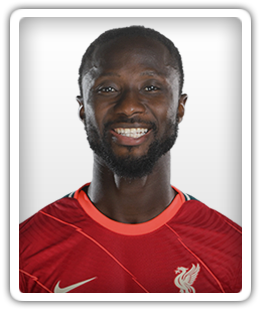 Keita has overcome a slow start to score in back-to-back games for the double-chasing Reds. The Liverpool manager was pleased with their first-leg result. Naby Keita's deflected strike and Roberto Firmino's tap-in put the Reds in charge. The Guinean opened his account for Liverpool at the weekend. Liverpool take control of their Champions League quarter-final tie with Porto as goals from Naby Keita and Roberto Firmino give them a 2-0 win in the first leg at Anfield. Relive Liverpool's 2-0 win over Porto as goals from Naby Keita and Roberto Firmino put the Reds on course for the semi-finals of the Champions League. Sports Mole looks at how Liverpool could line up for Tuesday's Champions League last-16 clash with Porto at Anfield. Mohamed Salah ends an eight-game drought to help Liverpool move back to the top of the Premier League table with a come-from-behind 3-1 victory over Southampton. Relive Liverpool's rousing come-from-behind victory over Southampton as Mohamed Salah ends his goal drought to help the Reds return to the top of the table. Sports Mole previews Friday night's Premier League clash between Southampton and title-chasing Liverpool, including predictions, team news and head-to-head records. Sports Mole looks at how title-chasing Liverpool could line up for Friday night's Premier League clash with Southampton at St Mary's. Liverpool score a last-gap winner to record a 2-1 victory over Tottenham Hotspur in Sunday's Premier League clash at Anfield. Naby Keita will not be part of Liverpool's squad for Sunday's Premier League meeting with Tottenham Hotspur. Sports Mole looks at how Liverpool could line up for their huge showdown with Tottenham Hotspur at Anfield on Sunday. Sports Mole previews Sunday's Premier League clash between Liverpool and Tottenham Hotspur, including predictions, team news and head-to-head records. Sports Mole rounds up the latest injury and suspension news for title-chasing Liverpool ahead of Sunday's showdown with top-four rivals Tottenham Hotspur. Movements in and out of Manchester United make headlines. The latest comings and goings from Liverpool make the Monday papers. Naby Keita may be offloaded by Liverpool just a year after arriving from RB Leipzig in a £48m deal, according to a report. Jurgen Klopp says that he does not have to spend big money to improve Liverpool further, but instead keep his current group together for a number of years. Sports Mole previews Sunday's Premier League clash between relegation-threatened Fulham and title-chasing Liverpool, including prediction, teams news and lineups. Sports Mole looks at how title-chasing Liverpool could line up for Saturday's Premier League clash with Fulham as they attempt to move top of the table. Sports Mole rounds up the latest injury and suspension news for title-chasing Liverpool ahead of Sunday's Premier League clash with Fulham at Craven Cottage. Midfielder Naby Keita was absent from the session. Ahead of the Champions League clash between Bayern Munich and Liverpool, Sports Mole selects its strongest combined XI using players from both sides. Sports Mole rounds up the latest injury and suspension news for Liverpool ahead of their Champions League last-16 second leg trip to Bayern Munich on Wednesday. Sports Mole previews Sunday's Premier League clash between title-chasing Liverpool and Burnley at Anfield, including prediction, teams news and head-to-head records. Sports Mole looks at how title-chasing Liverpool could line up for Sunday's Premier League clash with Burnley at Anfield as Dejan Lovren nears his return to fitness. Sports Mole provides team news, predicted lineups and a full preview of Sunday's Premier League meeting between Merseyside rivals Everton and Liverpool. Keita has made just 12 league starts for the Reds. Sports Mole previews Wednesday's Premier League clash between leaders Liverpool and in-form Watford, including predictions, team news and head-to-head records. Sports Mole looks at how Liverpool could line up for Wednesday's Premier League clash with Watford, with Roberto Firmino among their injury concerns. Sports Mole rounds up the latest injury and suspension news for Liverpool ahead of their Premier League showdown with Watford on Wednesday. Jurgen Klopp is told by sporting director Billy Horgan that he will be given money to spend later this year, despite Liverpool's heavy investment in the squad in 2018.